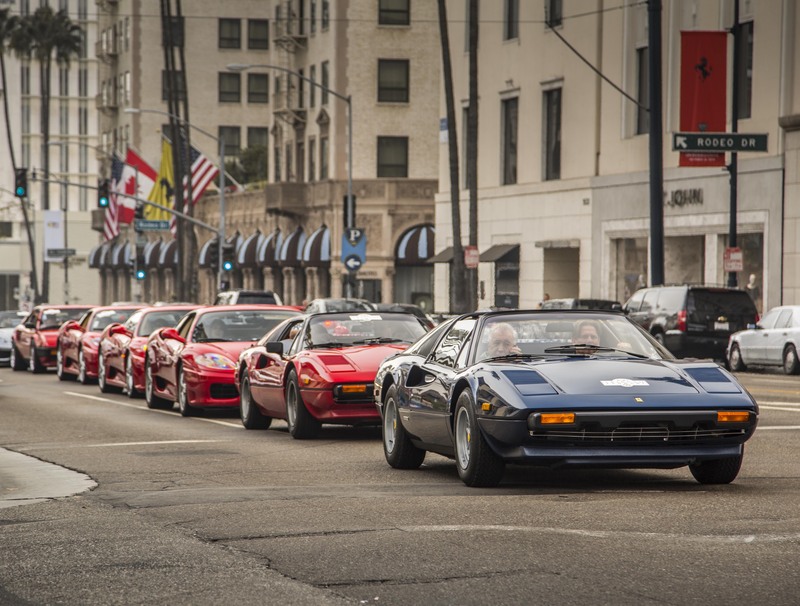 Beverly Hills, 12 October – Following Saturday night’s black-tie gala at Beverly Hills City Hall, Ferrari’s 60th anniversary celebrations culminated in California with a historic display on Rodeo Drive of 60 of the most iconic Prancing Horses ever assembled. 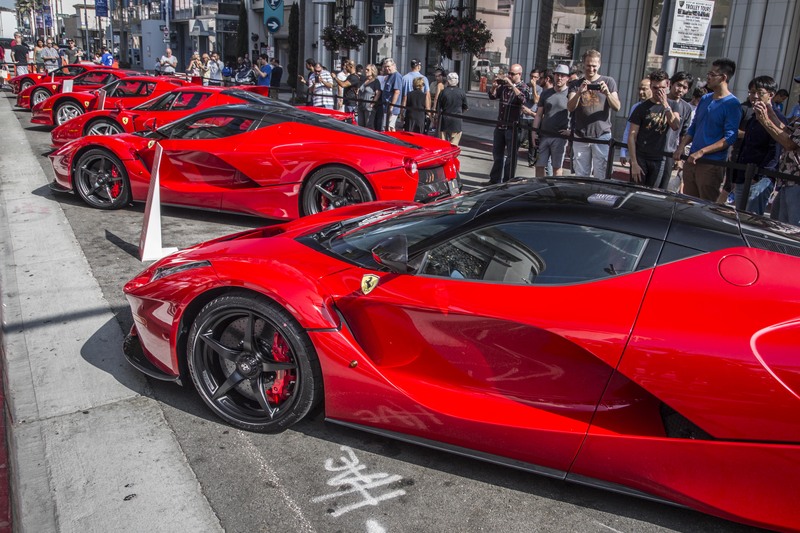 The Beverly Hills City Hall was bathed in rosso Ferrari with the emblem of the Prancing Horse displayed in grandeur on the building’s façade. Mayor Lili Bosse opened the evening with a proclamation declaring the commencement of the festivities for Ferrari’s 60th anniversary in Beverly Hills. 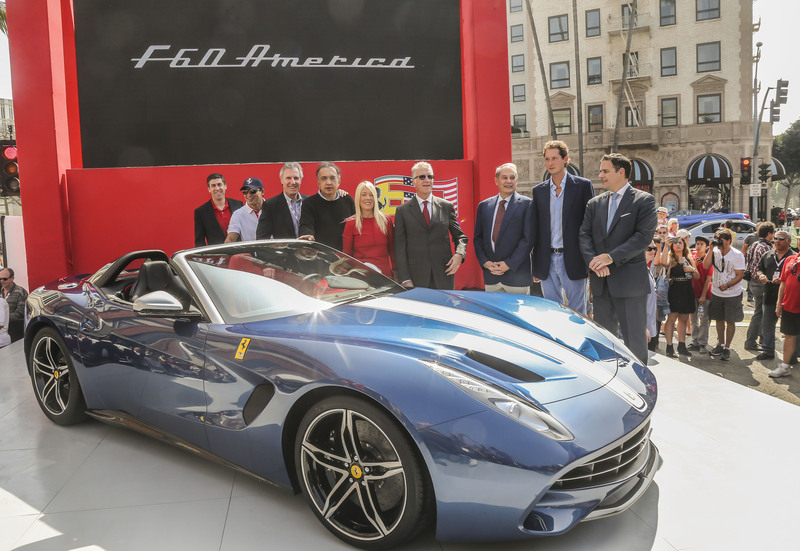 The event was presided by John Elkann, Chairman of FCA, Sergio Marchionne, CEO of FCA and Chairman of Ferrari, Amedeo Felisa, CEO of Ferrari, and Piero Ferrari, Vice Chairman of Ferrari. Auctioneer David Gooding brought the guests to their feet as he auctioned the first of 499 examples of the newest 458 Speciale A. The car sold for $900,000 with proceeds benefitting “Daybreak,” the American branch of the Italian charity whose mission for nearly 25 years has been to advance research towards a cure for rare genetic diseases. The 458 Speciale A wasn’t the only Prancing Horse on display. In honor of the Ferrari’s era in the USA, the limited-edition F60 America was unveiled to private guests of the black-tie event. The evening commenced with a star-studded lineup of musical performances, including Italian conductor Carlo Ponti Jr. leading the Los Angeles Virtuosi Orchestra, renowned violinist Caroline Campbell and Grammy-award winner Mary J. Blige. Notable guests were actress Megan Fox, TV presenter Mario Lopez, polo player Nacho Figueras and wife Delfina Blaquier, entrepreneur Robert Herjavec, director Michael Mann, and racecar drivers Derek Hill and Dan Gurney. A lavish display of fireworks concluded the evening’s celebration. 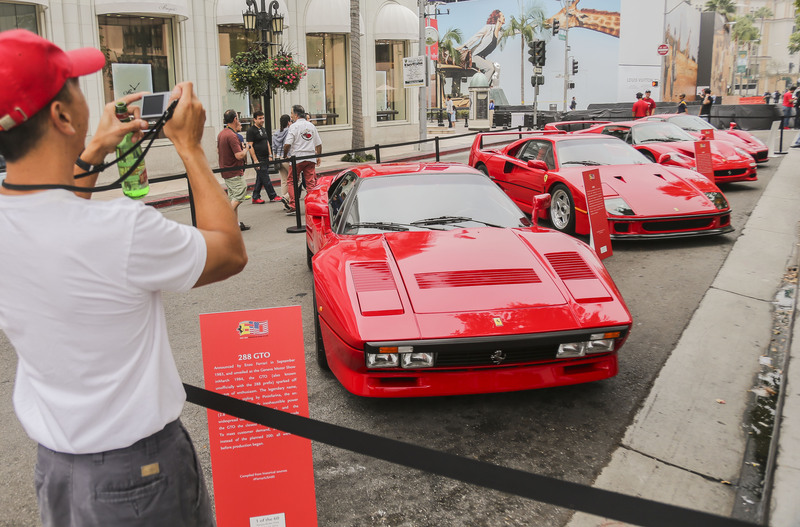 The festivities continue tomorrow with an exhibition of 60 of the most iconic Ferraris ever created on the famed Rodeo Drive. Highlights of the Ferraris to be displayed include the Ferrari 308 GTS (“Magnum, P.I”), Testarossa (“Miami Vice”), and Steve McQueen’s Ferrari 275 GTB/4, the 2014 Pebble Beach “Best of Show” winner 375 MM, and the newest limited-edition F60 America.